As HIV/AIDS continue to plague societies around the world, more and more social workers encounter HIV-infected individuals and their families and friends who are searching for help and support. In HIV and Social Work: A Practitioner's Guide, experienced social workers share their practice wisdom, knowledge, and skills on a broad range of issues. Their words of wisdom will give you the willingness to follow problems through and the flexibility and creativity that are required when dealing with issues concerning HIV/AIDS. At the same time, you will achieve a sense of empowerment and optimism as you realize that there are things you can do--very specific kinds of help you can offer--that can make an enormous difference in the lives of people with HIV/AIDS and those who love and care for them. You'll refer to HIV and Social Work time and time again as you confront new HIV-related situations in your practice for which you need easy-to-understand descriptions of what to do and how to do it. Acknowledging your busy schedule, the book is organized so that you may use it on a “knowledge as needed” basis or read it straight through. 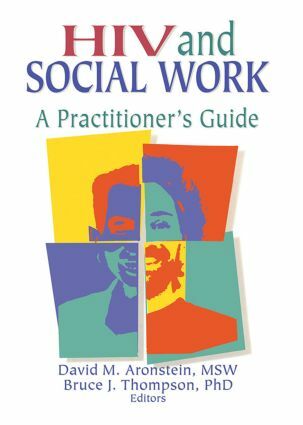 Written specifically by and for social workers, HIV and Social Work is highly recommended as required reading in social work programs at the Bachelor's and/or Master's levels. Changing the System: Don't Mourn. . . Organize!